Google AdSense is one of the most popular monetization techniques used by bloggers and online business men & women. Although is always confusing for new users. Read Google Adsense Introduction, it will really guide you and teach you all you need to know about Google AdSense. EFT (Electronic fund transfer) payment will ensure your AdSense earning will directly deposit into your bank account, and most important you don’t need to wait for receiving the check and check clearance time. As an AdSense publisher, this feature is beneficial and making our work paper-less. 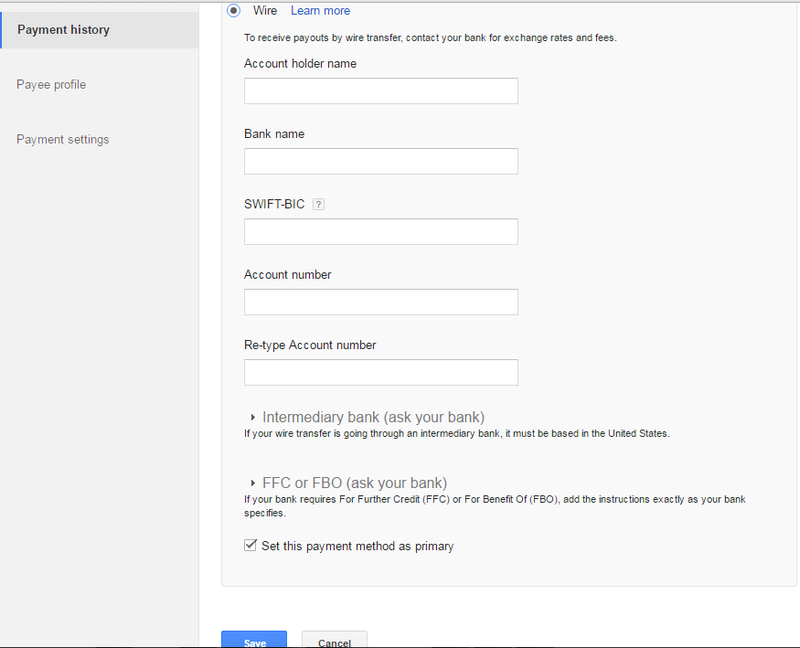 In this tutorial, I will explain everything you need to for enabling EFT payment for your AdSense account. Note: This whole setup process below will not take more than 15 minutes, and I highly recommend you to do that to save time for future payment. Follow the steps mentioned below and keep your mobile phone handy, as you might need to call your bank customer care to get the IFSC and Swift code. 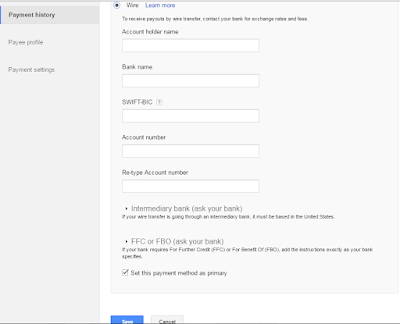 =>> Login to your AdSense account and Click on gear box and select payments. =>> Click on Payment settings under payment page. =>> Click on add a new form of payment. =>> On the next screen, you need to enter your bank account details. There are two details which you need to get from your bank. (IFSC code and Swift BIC code). To get the IFSC code and Swift code for your account, simply call your bank customer care and ask for it. =>> After you have filled the correct data, Click on save payment and that’s it. =>> You can update your payment method until 20th of any month. =>> You can now use any AdSense payment threshold greater than minimum ($100) payment. You can hold your payment until any specific date; maximum up to 1 year. Though, I will discourage you not to use this feature, as you might face issue if AdSense decide to ban your account. In summary, direct bank deposit feature is already making life of many AdSense publisher easy, and if you have not updated your Payment option, it’s time to log into your AdSense account, and update payment settings. Question: What is the minimum payment threshold for EFT payment? Question: Is Pin verification mandatory after AdSense introduced EFT payment? Answer: Pin verification is mandatory process from AdSense to verify your address, so yes; it is! Thanks alot for reading my post, i really appreciate.